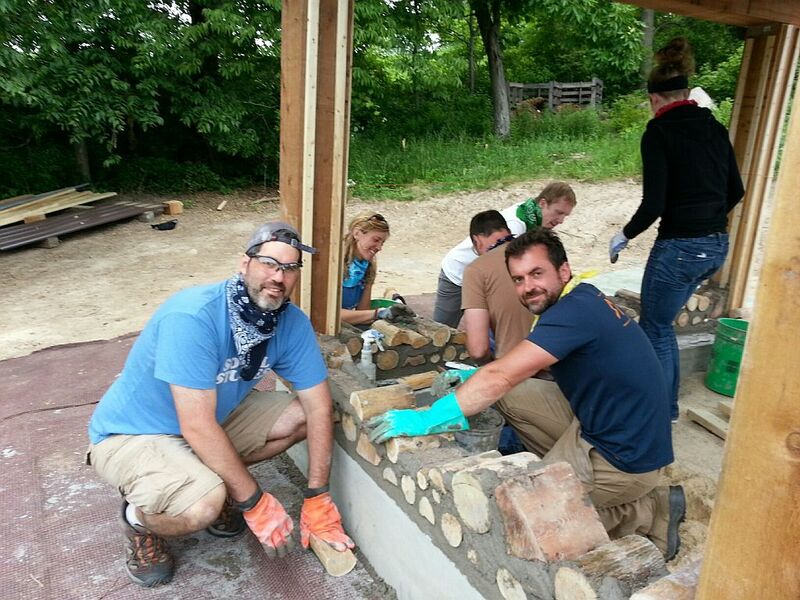 We had the distinct pleasure of teaching a Post & Beam Framing Workshop and a Cordwood Workshop at Kinstone Permaculture Academy on June 12-15, 2014. The students were wonderful, energetic and full of ideas. 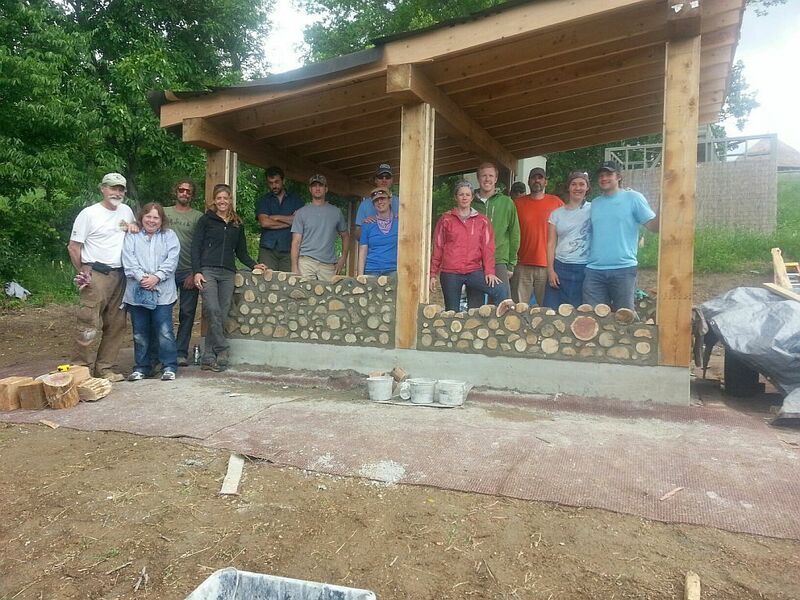 We used the first two days to frame the Cordwood Sauna. 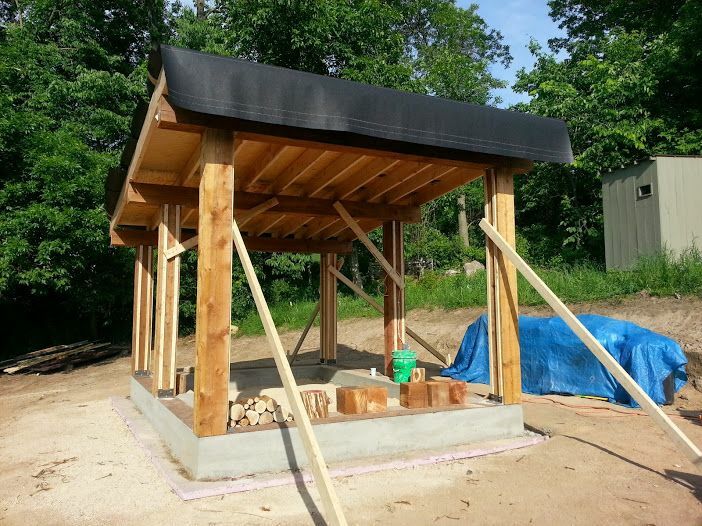 This is a 12′ x 16′ sauna that is next to the camping facilities and solar showers at Kinstone. 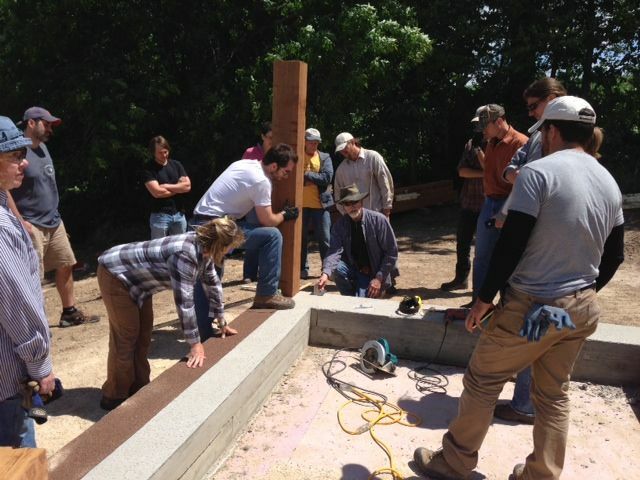 Here the students are learning to frame a building and keep it level and plumb. Damp proof rolled roofing is in place (to stop water migration) and the first post is being leveled and anchored. 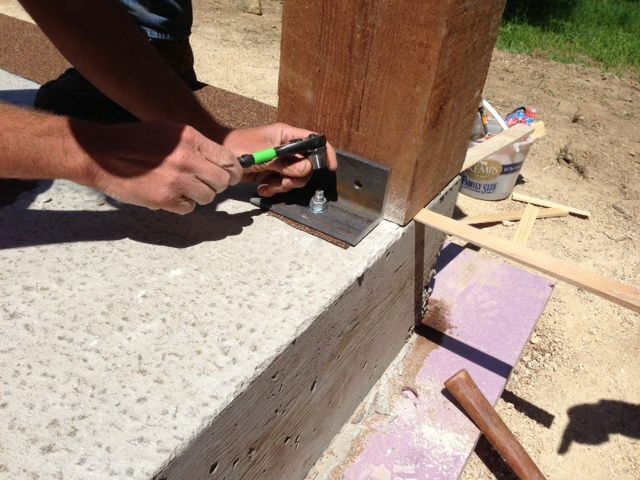 Holes are drilled in the foundation and 3/8″ angle iron, anchor sleeves and lag screws are added to keep the building from going anywhere. 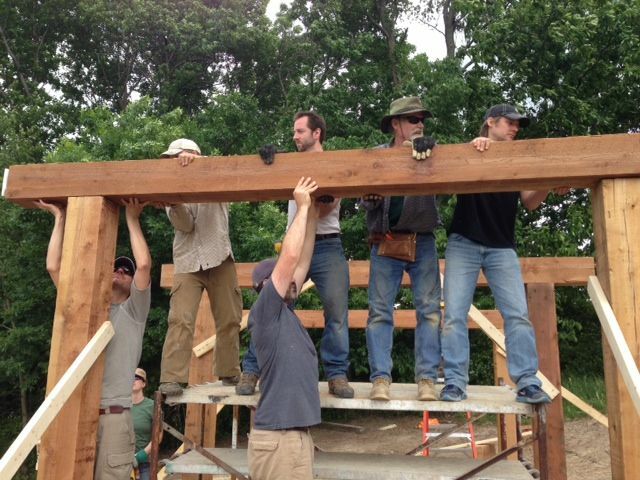 It is important to have “many hands on deck” to keep these large 8″ x 8″ girders in a secure place. 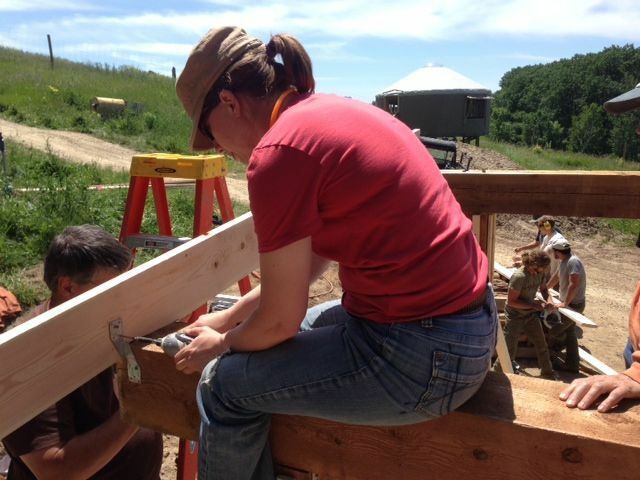 Students had an opportunity to learn how to use power tools safely with instruction and supervision. 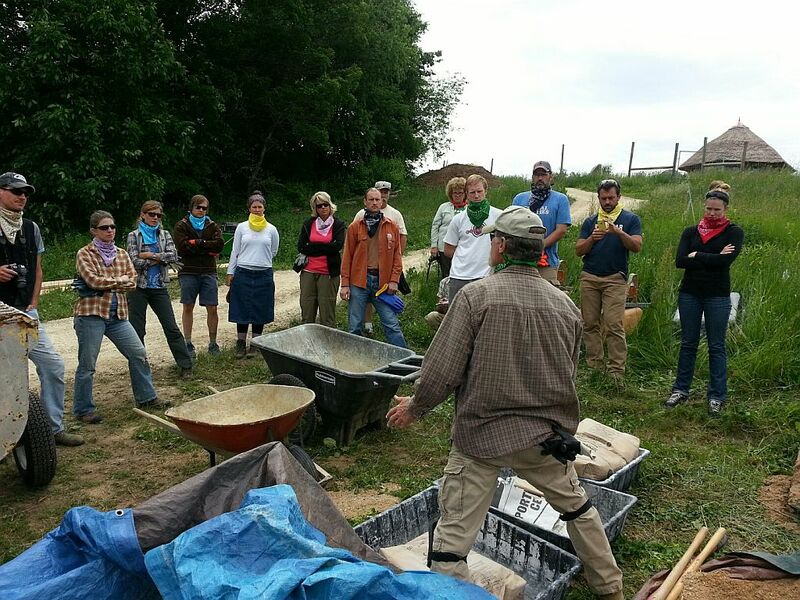 Many students shared their expertise. Hurricane straps are important to secure the top rafters from wind shear. 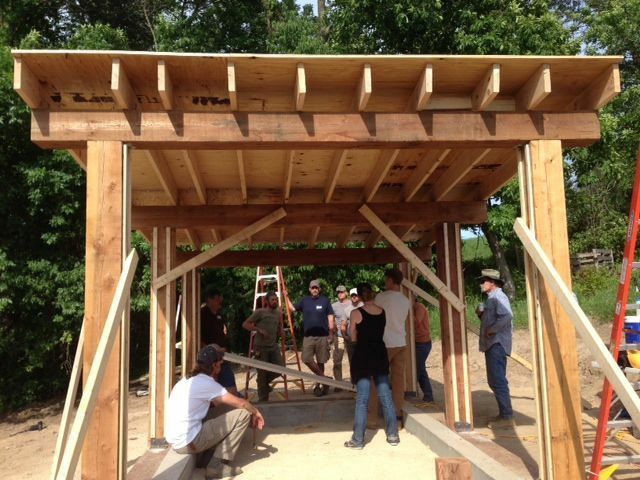 Discussing and learning to “problem solve” on a job site is one of the many advantages of taking a workshop. 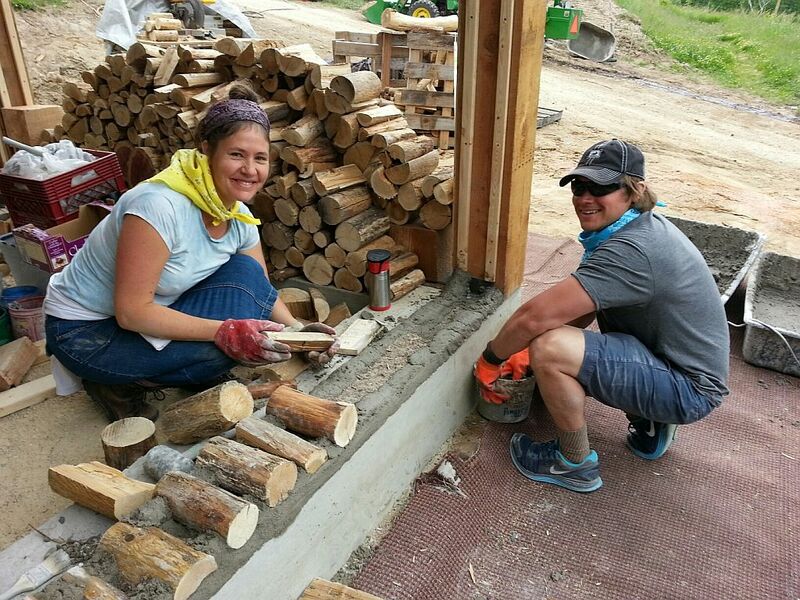 The framing is now ready for cordwood infill. 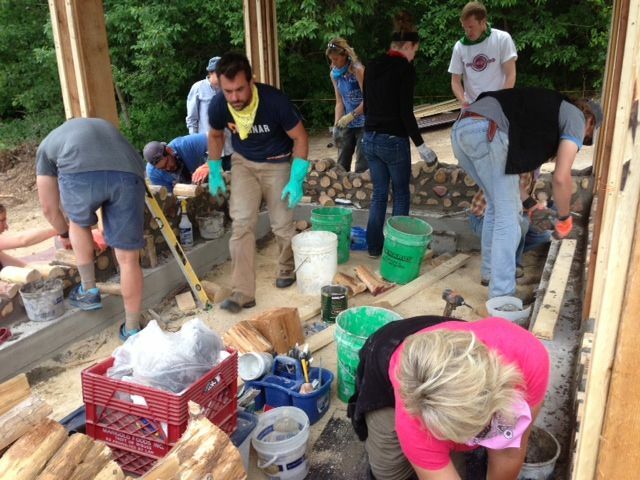 The first step in cordwooding, is learning how to prepare and use a proper mortar. The bandana’s are fashionable dust masks. The first row is the most important! 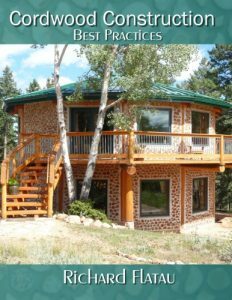 Folks are happy when they learn the proper techniques. 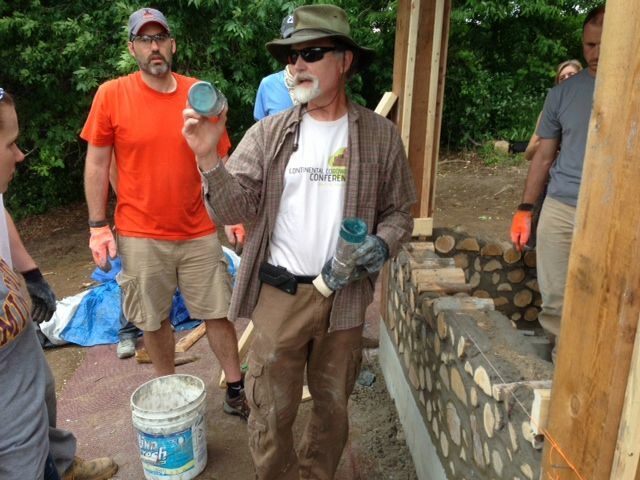 Tuck pointing is a learned art. Rubber gloves are important to keep the hands safe. Learning to install a recycled bottle for a “stained glass” effect. 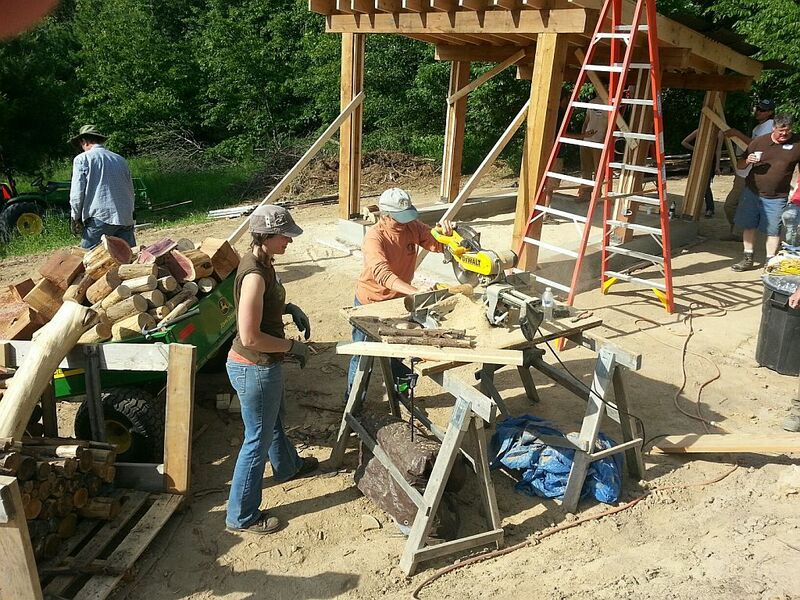 It was supposed to rain on the last day, but the rain held-off and we were able to get quite a bit of work completed. The building is now ready for the next workshop. 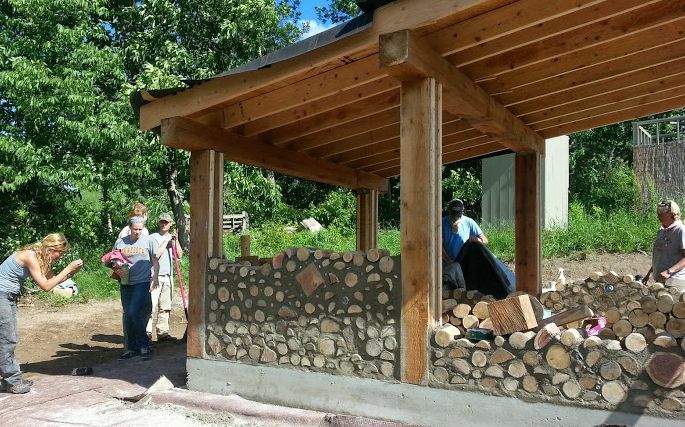 We will be teaching a Cobwood Workshop (cob and cordwood) on June 27-29, 2014 at Kinstone and we will do another Cordwood Workshop on the Sauna on July 19-20, 2014. 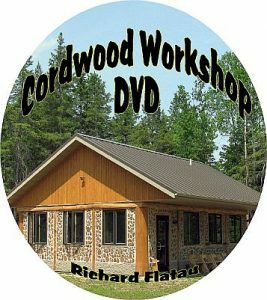 If you are interested please go to www.cordwoodconstruction.org and click on the Workshop links on the right side of the page.